Please note: This kit is currently out of stock but back orders are being taken. Available May 12 2017. 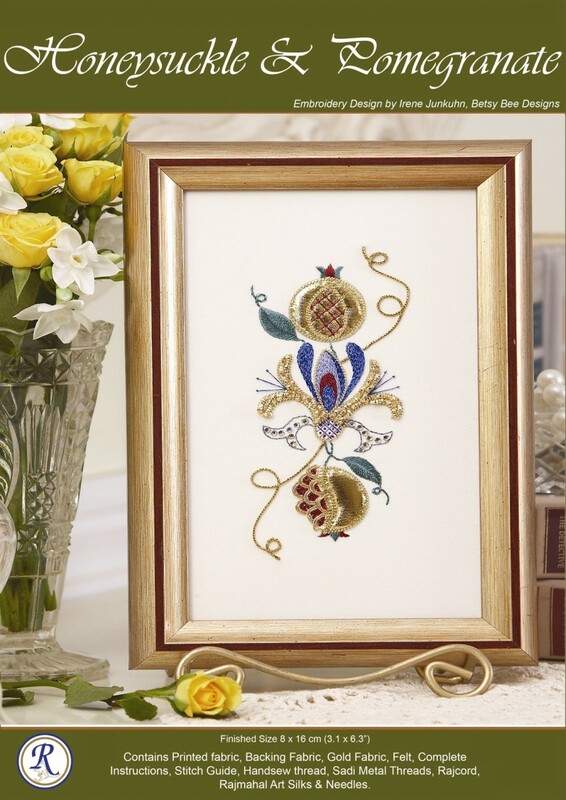 This attractive fruit and flower lend themselves beautifully to goldwork embroidery. Irene junkuhn's design shows how Sadi metallic Threads complement the rich colours and lustre of Rajmahal Art Silks. To learn more about Use Sadi Threads follow link. *Please note this kit does not include a box. 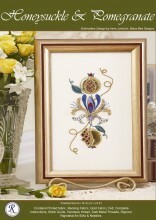 Click the button below to add the Honeysuckle and Pomegranates-Kit to your wish list.